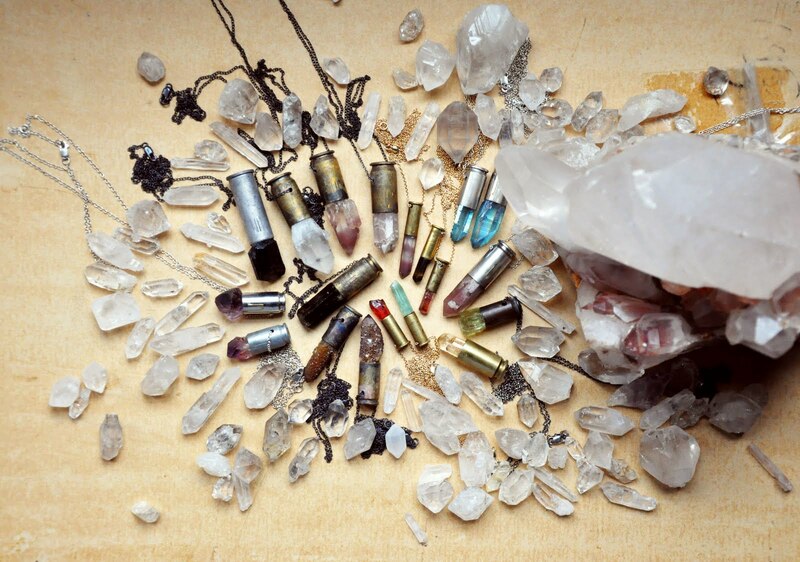 We visited Gia at her studio in LA a few weeks ago and hand picked our crystals and bullet casings. We just received the finished necklaces and every piece is exceptionally amazing! We chose a few new crystal types, including a smoky lavender colored lithium quartz which is a rare stone found only in the remote location of Minas Gerais, Brazil. 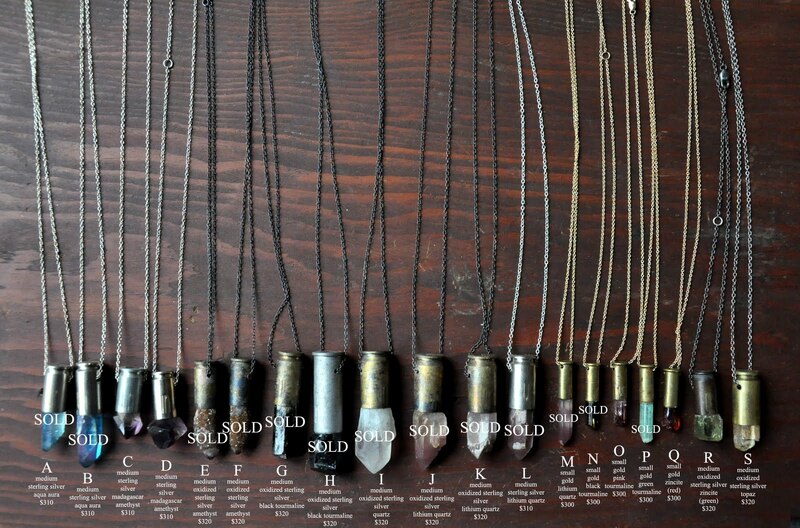 Use the guide below to order specific necklaces here: small gold, medium oxidized silver and medium sterling silver. 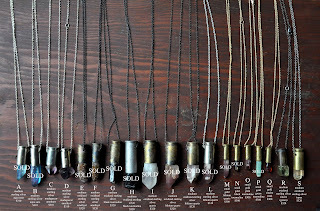 If you want to see additional close up photos of any necklaces, just email us at heather@bonadrag.com. Oh these are totally stunning! Definitely on my wish list! 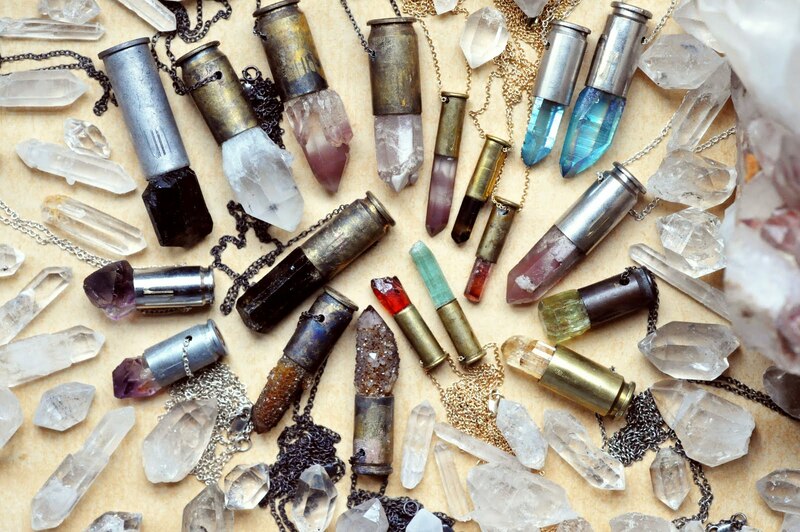 this is the most beautiful I've ever seen in my life..